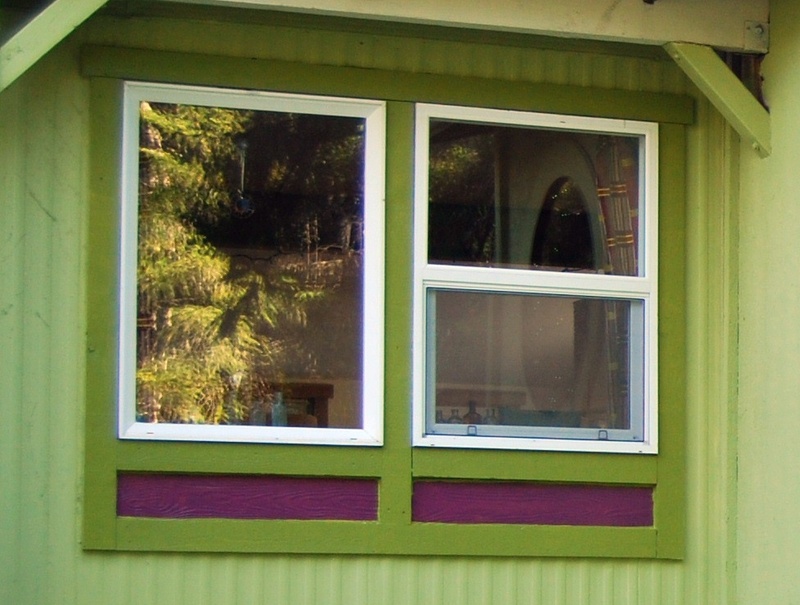 One of the best things you can do when you adopt your new retro trailer or mobile home is to upgrade those windows! These old homes are about as warm as a bread box come winter, so this is a priority. The easiest way is to retro-fit them; replacing the existing windows with windows of the exact same size. In this case the previous owner found windows that were a bit smaller but did some creative compensation on trim design for the final look. I highlighted the design with accent paint. 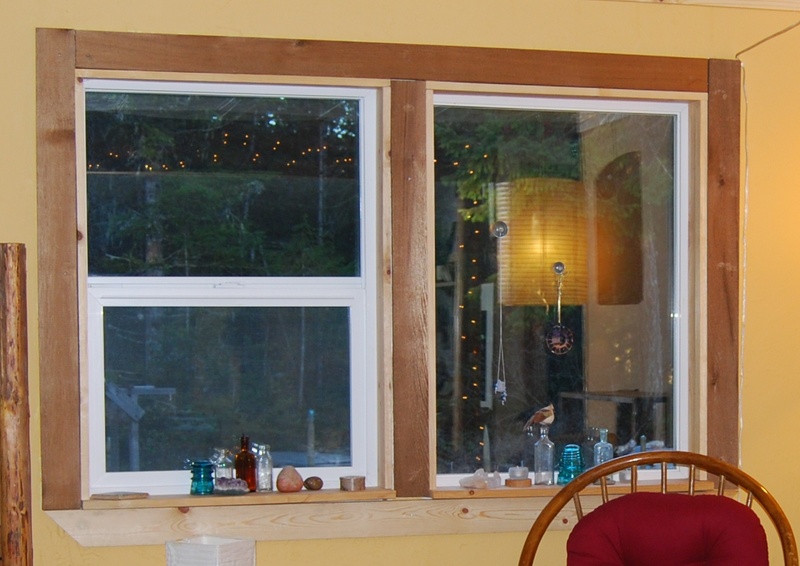 Ultimately you want double pane vinyl windows, and some that open. On the inside you can trim them out any way you like. Doors are important as well. These can easily be obtained from recycle building supply stores by the way, as can the windows. Great discounts there, while still getting a quality item. This is my front entrance door, beautifully simple with a lovely glass design. It's creative to integrate the old and unique in to your retro style home. You can stick with the traditional things that fit the time era of your place, or you can just go whimsical and fun, adding whatever you like. This round window in my front porch / mudroom really adds creativity to my place. It's not really a window either! It was a single pane of glass attached to the inside wall. 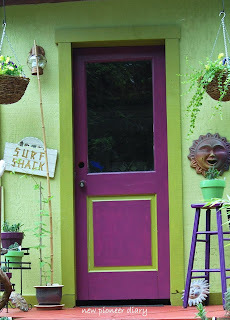 The porch is not insulated so this concept works fine for a creative look. 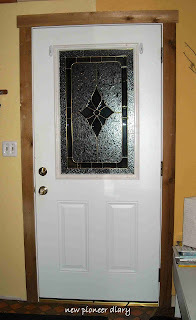 My outside door is an old wooden door with the glass still in tact. I plan to add an antique glass door knob there. 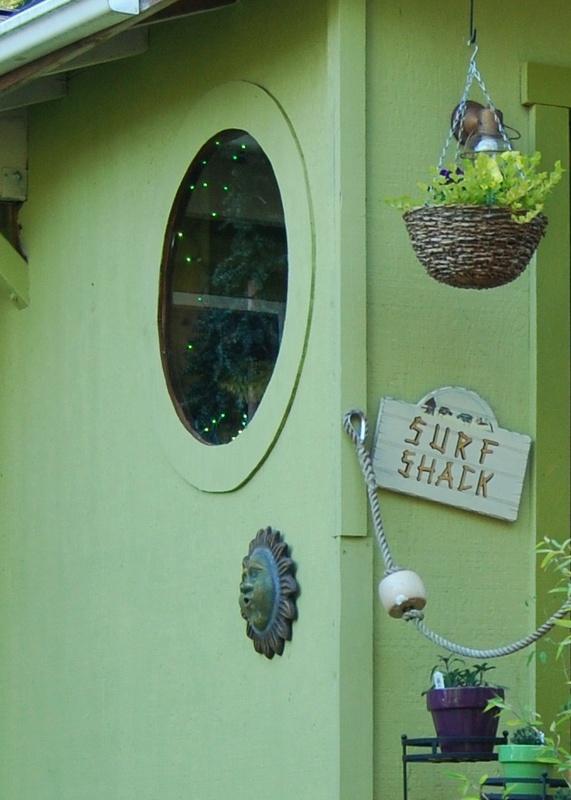 While it is fun to integrate the old and unique, remember to use energy efficient doors and windows where most needed. I welcome all comments and questions, so feel free to post here! As always, thanks for stopping by! Jeni, I love your house. It is absolutely awesome. I need some new windows and doors as well. They just opened a new re-sell shop here that sells used home supplies, I haven't got to go yet but you have inspired me go immediately. I hope to find a nice simple front door..thanks so much for sharing your great home with us! Thanks for following the blog Crystal! You will LOVE new windows and doors in your place. You'll find great deals at the resell shops and probably some terrific character pieces too!